Good stuff, and highly affordable. Whether you're a soldier, law enforcement agent, competitive shooter or citizen, PPU Ammo is good stuff, and highly affordable. PPU, 9x18mm Makarov, FMJ, 93 Grain, 50 Rounds is rated 4.8 out of 5 by 32. Rated 5 out of 5 by Gene from Good ammo I have fired this ammo in 9mm and 9x18 Makarov. It is reliable and a good price, particularly with free shipping. Rated 5 out of 5 by mister1967 from great ammo, great price Got this for my P83, and it cycles through flawlessly. Rated 5 out of 5 by TexLou from super reliable I've been shooting this ammo for a few years in a Makarov and a PA-63. I have never had any kind of problem in either pistol. The price is right. I purchased these last boxes just to get the brass to reload more! 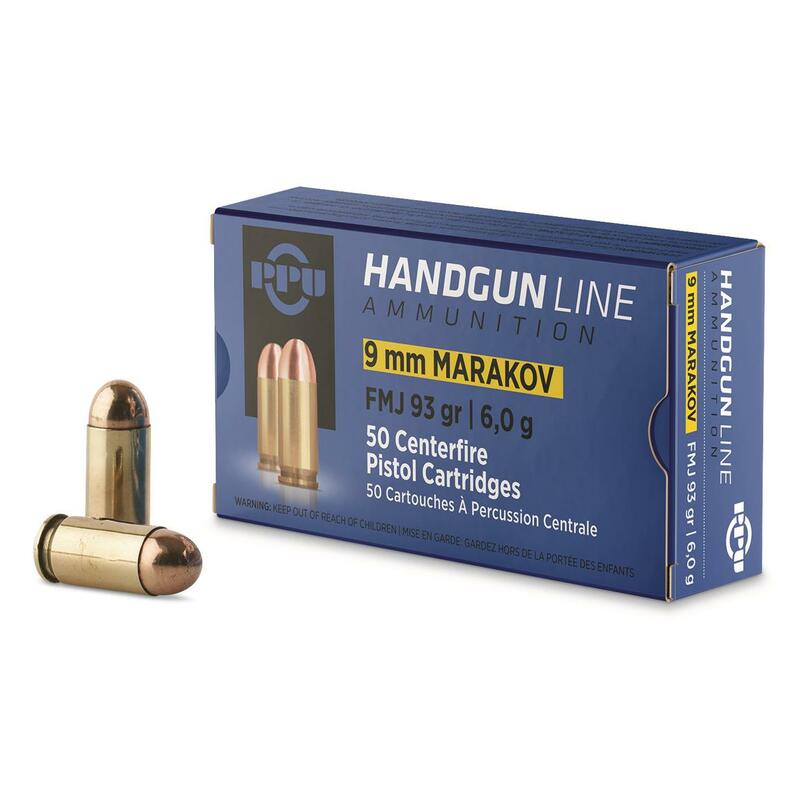 Rated 5 out of 5 by Gun Trash from Excellent ammo at a great price Put 50 rds of this thru a Polish P83 today and no problems at all. Fed well, fired, extracted, ejected, it did it all flawlessly. And as long as I did my part, it hit where the pistol was aimed. Excellent ammo and price. Rated 4 out of 5 by Mike from Good Price and Quick Shipping Very satisfied on price and availability. Quick shipping a plus. Would highly recommend product and Sportsman. Rated 5 out of 5 by Pitbill from Great price My Mak loves this commie ammo. At this price in combination with the free shipping coupon it was a deal. The only complaint I have about Privi is it is dirty. But hey it's a Mak.